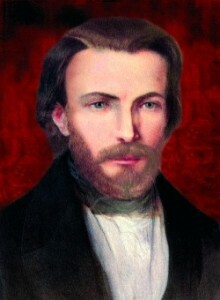 Antoine-Frédéric Ozanam was born into a large family in Milan, Italy, in 1813. His parents were originally from France, and the family returned there in 1815. 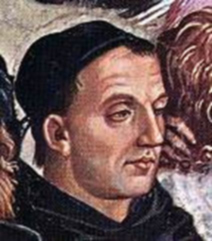 Frédéric believed that faith should be put into action by serving the poor. In 1833, he founded the St. Vincent de Paul Society, an organization that serves the poor. Today, the Society is active in 131 countries of the world and offers services such as thrift stores, home visits, food pantries, and shelters. In 1841, Frédéric married, and four years later he and his wife welcomed their only child, a son. The last five years of Frédéric's life were spent serving the poor through the St. Vincent de Paul Society. He died in 1853 of exhaustion and tuberculosis. 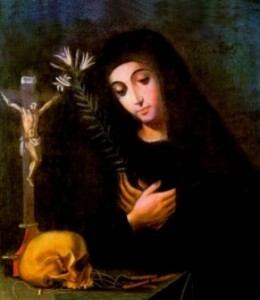 At World Youth Day in Paris in 1997, Pope John Paul II beatified Frédéric Ozanam.